I started boxing nearly seven years ago in a serendipitous chain of events. A personal training session started out as expected with weights and plyometrics, but ended with boxing. It was love at first punch, and the rest as they say, is history. I spent the next four years boxing two-three times per week and absorbing everything I could about the sport. Weekends were spent sitting at home and scoring fights on TV in a notebook. Word got out and I was approached to judge amateur boxing. My initial reaction was “oh hell no,” but deep down I knew of the tarnished reputation judges have at times, and I wanted to make a difference. My fate was sealed. Nearly three years and 528 fights later I have no regrets, but the road has not been easy. Initially, those in the boxing community could not figure out what I was doing at the judges’ table. With no relatives who have boxed in the past and no children who were boxing in the present, my presence sometimes caused confusion and questions; it still does. Slowly but surely, they have begun to accept me and realize that no matter what, I am not going anywhere. The first thing I learned when I became a judge is that the only place that a fight can be accurately scored is from the judge’s chair. That was a hard pill to swallow, considering I had always scored from home, the first row, several rows back, or from the stands at live venues. I remember challenging the Chief of Officials on this subject and he bluntly told me I was wrong and would understand after I began judging. The truth is that he was right. We have all seen fights where we have not agreed with the judge’s decision. Sometimes it has the appearance of a blatant robbery, but sometimes it has the appearance of a much closer fight or a fight that might be too close to call. While I cannot speak to the former, I can certainly speak to the latter. Anyone from anywhere can score a fight when it ends early. However, if the fight is remotely competitive and the two boxers are exchanging, the only people who can accurately score the fight are the judges — not the referee, not press row, not those sitting ringside, and not those sitting at home. There are three-five judges around the ring for a reason — judges seated on various sides of the ring have the best vantage point for scoring rounds accurately. I am constantly challenged on that statement, but I stand firmly behind what I say. It’s important to note that hitting the opponent’s arms/gloves IS NOT a quality blow. A judge may never assume anything (landed punches, scoring blows) if a fighter has their back to them. An example of this would be assuming that a punch has landed because you see a head snap back or hear gloves landing. Additionally, a body blow must meet the same technique/tactic criteria and should count more than a simple jab. If they have a new coach, trainer, etc. Sometimes a punch lands much harder than what is seen by those sitting ringside or at home. Conversely, sometimes a punch doesn’t land with the intensity that is perceived by those not judging. Sometimes the punch just rolls off the opponent’s arm, shoulder, etc. I know I cannot assume that if a boxers head snaps back when his back is to me, that the other boxer landed a hard punch or any punch for that matter. Stay with me here… sometimes it looks like a punch landed but in reality it came within inches or less. Yes, that happens. When fighters are in fighting and locked up, nobody can see what punches actually land and count better than the judges can – even then, only some of the judges can see depending on where the action is in the ring. Again, this is why there are three (pro) to five (amateur) judges. Even the best camera operator may not capture what is truly happening. Again, if one is not sitting where a judge sits, one cannot accurately score a fight. This is definitely a pet peeve for me and happens in both the pros and amateurs. Sometimes people think punches that land on the arms are scoring blows. In the pros, you will hear the crowd go wild while in reality, the punch did not land in a scoring zone. If anything, the other boxer is exhibiting good defense which is part of a judges scoring criteria. You are playing on your phone for even a second (most people sitting ringside). You are eating, drinking or sleeping at any point in any round (@CoachLRJ). You are writing during the rounds (write your notes after the round ends). You are talking to another person (shut up and watch the fight). You are moving around the room (screaming at the television, shadowboxing). You have consumed alcohol or drugs of any amount (may eliminate most of boxing twitter). You are not sitting in a judge’s chair (yes I’m saying it again). You would not be willing to score rounds against your own family member or loved one (the word you are looking for is biased). While most of the above seems obvious, I have probably pissed off many people. I can live with that because I know I am speaking the truth. Because I am cognizant of the fact that much of what I have said will be challenged, I spent the last few months performing an experiment to see if actual scoring scenarios would back up my words. There was no better place to conduct this experiment than an amateur boxing card. For those of you who have never attended an amateur boxing card, you truly don’t know what you are missing. The action is intense; there are no feeling out rounds or rounds taken off and the punches are non-stop. Is it harder to judge the amateurs than the pros? Without a doubt. Full props to my fiance Matt for cooperating in this experiment without fully knowing what he was doing or why. He did as I asked and I am truly grateful, as the information he provided is invaluable and proves that my theory is correct. This is not a perfect science but at minimum, it should give you some food for thought. Between September and November of this year Matt, who is not a judge, scored amateur bouts in person and on video at home. He scored 10 from a judges table at ringside, five on the same side as me and five from the opposite side. He scored 10 fights while seated in the first and second spectator rows at various angles. He also scored 10 fights while seated more than 10 rows back from the ring. He then scored 10 different bouts at home on the TV that I had judged in person. He had not seen any of them live. Of the fights scored at a judges table, all his cards matched the official results. From the first or second row, 8/10 scores matched the official results. From more than 10 rows back only 7/10 cards matched. The fights he scored from home matched the official scores 8/10 times. Again, this is not an exact science, but the results do tell a story. I take notes religiously after each round because a: I am a nerd, and b: if I ever have to explain a decision to our headquarters in Colorado. I asked Matt to do the same during the experiment and almost every time his notes were uncannily similar to mine when he was seated at the judges table. 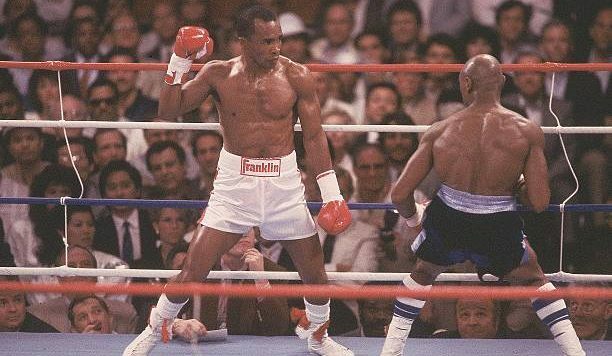 There have been some truly controversial decisions in boxing where a fight was not remotely competitive, and the decision went to the other fighter. When those decisions happen, I want to crawl in a hole and hide; I am embarrassed, incredulous and angry. It puts a dark cloud over the sport we all love, and it has to stop. Publicly stating this will probably ruin any chances I have of going to the pros to judge, as I recall receiving a pleasant little warning in my Twitter DMs shortly after criticizing a professional decision in my first days of judging. There is a saying in boxing that in the ring, the truth finds you; that saying could not be more accurate. In the ring, you find out if you’ve trained hard enough, what your strengths and weaknesses are, what emotions you are hiding and what demons you possess. Only in the sport of boxing will you find two athletes willing to stand in a square ring and use solely their hands to hurt one another. There are no teammates, balls, bats or sticks, or the use of feet or any other body part. The objective is to knock the opponent out by hitting them with a gloved hand. When the bell rings, it is the boxer, their opponent, and their gloves; nothing else. Boxers are some of the most passionate and determined people you may ever come across in your lifetime; they have tremendous heart. It is often their heart and not their training that earns them the victory in the ring. Boxers enter the ring with the hope of knocking out their opponent, guaranteeing them the victory, but also with the expectation that if the knockout doesn’t happen, the judges will score the fight accurately and fairly. A “controversial” decision can alter a fighter’s future, crush their dreams and jade the most passionate of boxers. Each round should be judged as if a professional contract or gold medal is on the line. Each round should be judged knowing there is no margin for error or bias. And every round should be judged as if the boxer’s career depends on it, because it does. Karla Caputo is a Judge with the Lake Erie Boxing Association (a division of USA Boxing) and has scored 528 fights in her two years and 10 months experience.